1. Epic Discovery’s Wildlife Exploration Trails – New to Vail this summer, Epic Discovery is the ultimate playground for making memories with your family on the mountain. Wander through Vail’s expansive woods with your kids on the and learn about Colorado’s flora and fauna. We’ve even partnered with The Nature Conservancy, USFS, and Walking Mountains Science Center for this unforgettable experience. 2. Berrypicker – This classic trail starts in both Vail Village and Lionshead for easy access, and you can “pick” from plenty of ways to tackle it. For an easier hike, ride the Eagle Bahn Gondola to Eagle’s Nest and make your way down the mountain. For more of a challenge, go the opposite direction – trek from either Lionshead or Vail Village up to Eagle’s Nest. Once you reach the top, treat yourself to a massive brunch at Game Creek Restaurant – you earned it! 3. 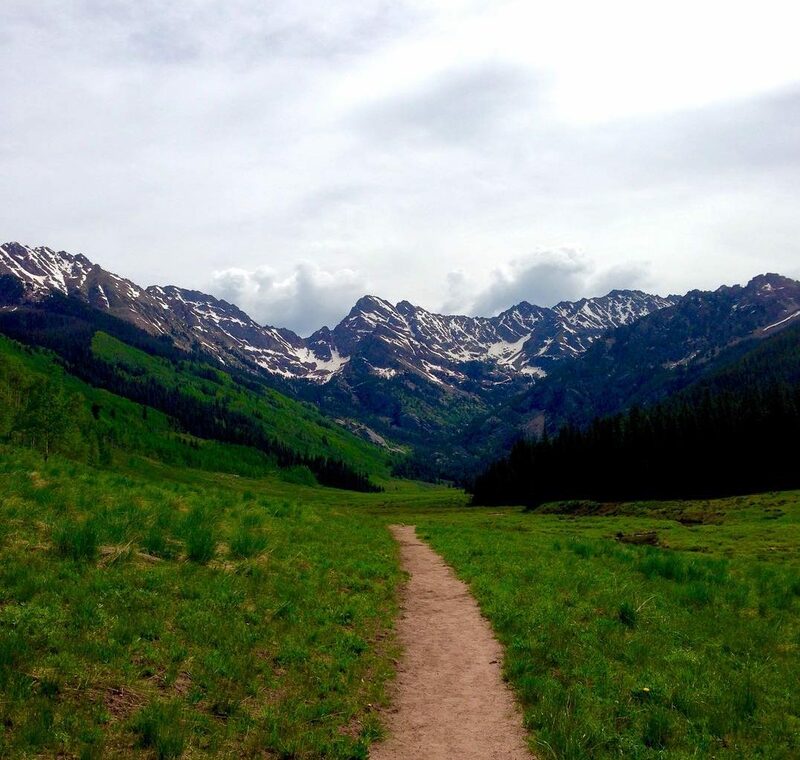 North Trail – A local hiking favorite, this quad-burner wanders in and out of the neighborhoods on Vail’s northern side and is great for moderate to experienced hikers. You can take the Town of Vail’s West Vail Red Loop buses to one of the trail’s access points: Trapper’s Run, Buffehr Creek, or Red Sandstone Road. Most sections of the trail begin with a pretty steep elevation gain that tapers into a beautiful and moderate walk before dropping into the next trailhead. 4. Gore Valley Trail – Enjoy river views and easy strolling along the Gore Valley Trail, a paved recreational path that runs the length of Vail. It’s a 12-mile route that gives you plenty of options as to how easy or hard you want to make it, plus it’s a great way to get used to the altitude. Be on the lookout for waterfalls and beaver ponds! Tired after conquering the full 12-mile stretch? Hop on the bus to get back to the Villages. 5. Fireweed – Great for families and guests getting used to the altitude, Fireweed is a beautiful, cruise trail between Gondola One and Eagle Bahn Gondola. It’s a mile long (one-way), and features abundant wildflowers and gorgeous views as you wind through the woods. Pro tip: Start at the top of Eagle Bahn for an easier walk that trends downhill. 6. The Nature Discovery Center at top of Eagle Bahn Gondola – Hop on the Eagle Bahn Gondola and take a scenic ride up to The Nature Discovery Center on Vail Mountain. There, you can embark on a free guided nature walk with one of the guides, or stick around for a free interpretive nature talk given by an expert naturalist. 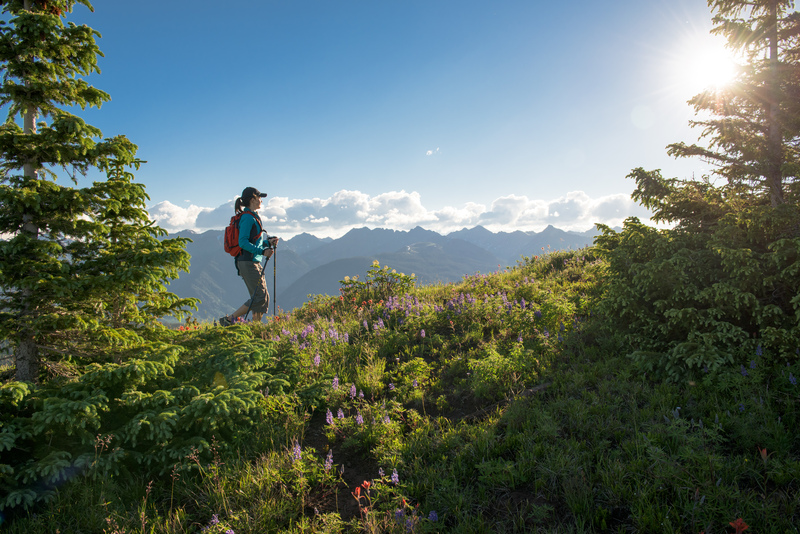 You’ll get even more out of your day hike, as you learn about summer ecology and animal adaptations while taking in the majestic mountain views. 7. Booth Creek Trail – One of Vail’s more difficult trails, Booth Creek has beautiful payoffs on a strenuous 4-mile hike (one way) with a 3,000+ ft. elevation gain. At mile two, the trail passes 60-foot Booth Creek Falls, a great photo op and resting point. Past the falls, you’ll wander through forests and meadows of wildflowers, and once you pass 10,000 feet, feast your eyes on sweeping views of the Gore Range. Keep making your way to Booth Lake to round out this day. Adventurists rejoice! 8. Pitkin Creek – Another fairly difficult trail, Pitkin Creek passes through aspen groves and spruce-fir forests as you climb 2900 ft. across 4.5 miles (one way). After about 2.5 miles, take in one of two waterfalls along the trail, then after a number of false summits, the trail reaches Pitkin Lake – your stopping point. Be sure to climb up the lake’s shore to see the whole basin, and remember to look back down the valley for views unlike any other.